4″ x 4″ x 11″ approx. 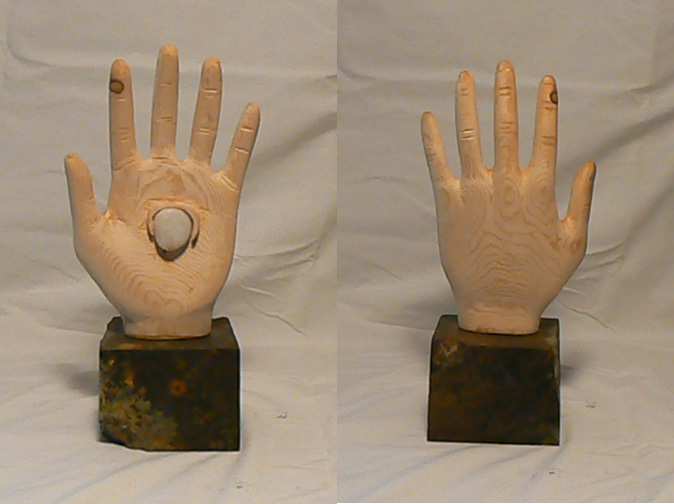 6 lbs , 2012. carved from white pine on a polished/distressed granite base w/ polished quartz stone. original signed by the artist.